Regional economic strength is partly a matter of luck and partly the result of bad policies. The economic data on Nevada and North Dakota illustrate extremes of luck and bad policies. 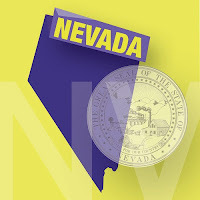 Nevada is suffering greatly from high unemployment and high job loss. 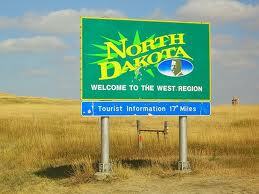 North Dakota is at the other extreme, with much lower unemployment than other states and high job growth. The numbers are collected conveniently by the Joint Economic Committee in its state-by-state survey of jobs and unemployment (see summary chart on p. 106). The numbers on which the survey is based are from the monthly reports of the Bureau of Labor Statistics. North Dakota is lucky in finding oil. Nevada is partly to blame for its lax mortgage policies that meant it was badly hit by the housing collapse. An enterprising reporter or regional economist could surely find other contrasts that would help fill out the picture. A Business Week article in 2011 that headlines the contrast doesn't go much beyond the oil vs. housing explanation. A neat idea - Librarything.com has posted a list of what was considered general knowledge in 1793, as compiled by a Harvard College librarian. Although Adam Smith's Wealth of Nations had appeared in 1776, economics was not yet a separate field of study. Smith's Theory of Moral Sentiments appears under Ethics below. There was a time when "knowledge" could be encompassed by one person. That idea is associated with Benjamin Jowett, Master of Balliol College, Oxford from 1870, who became Vice Chancellor of Oxford in 1882. (Adam Smith is perhaps the best-known alumnus of Balliol.) To him is commonly attributed the quote "I am the Master of this College, What I don't know isn't knowledge." The source is actually a poem attributed to Henry Charles Beeching and probably written by several mischievous and clever undergraduates at Balliol. - H. C. Beeching, "Masque of B-ll--l" (1881). I think probably the most dominant change that we are facing is the growing impact of politics on business. This is an ongoing challenge that has never been greater. We’re witnessing now in China, and in Europe and the United States, is this tug-of-war between a business sector that is looking for a strong message, strong leadership, and a little more consistency from government and what government can realistically provide. The cycle of politicians is just too short. The insecurity around politicians toward their own careers has had a severe impact. Government is not acting swiftly enough. Only when government is backed against the wall do we see action. And it’s that atmosphere and the binary outcomes that have created an environment in which executives who are running large, interconnected companies are frightened of planning out too far. We see the symptoms of that fear in the increased cash holdings. Globally, corporations are seeing massive sums of cash—we’re talking trillions of dollars. They’re not hiring, not building as many factories today. They’re not willing to take that risk because the uncertainty around the situation in Europe, the United States, and even China has truncated the decision-making process and in many cases has created an atmosphere in which making no decision is probably the right path. And so we’re seeing a slowdown globally right now, which is a symptom of all this uncertainty and fear. And yet the fundamentals of most internationally based companies are really quite strong. You know, I have to remind politicians that there is a reason why equity markets are generally doing better than the tone of the economy would have us believe. One way New York City stimulates its residents is with hundreds of educational and cultural events, more in a day than anyone could attend in a year. Today I chose to be educated at a discussion offered by The Zicklin School of Business at Baruch College on the LIBOR scandal, headed "Are They Still Playing Games in London?" LIBOR, the London Interbank Offered Rate, is supposed to be the interest rate at which banks lend to one another. Someone calls around in the morning and asks what rate each bank could borrow in different currencies and 15 different maturities, from overnight to 12 months. The "panel banks" are selected by the British Bankers Association. The highest and lowest 25 percent are eliminated and the other 50 percent are averaged by Thomson Reuters. Trouble is, the loan market dried up in 2007. The concept depends on there being an active market for loans. In 2007, banks began worrying more about their balance sheets and put their money into government bonds instead of riskier loans. Banks completely stopped lending to one another. If a bank needed funds, it borrowed from the European Central Bank or the Bank of England. The LIBOR continued to be published, but the numbers were just made up. So what else is new? A lot of indicators are based on surveys that amount to opinions. But it gets worse. During the banking crisis of 2008, LIBOR was systematically understated. In order to appear more solvent than they were, banks quoted low rates like 1 percent for the 3-month LIBOR whereas in fact they would have to pay a lot more assuming they could get a loan at all. Reuters journalist Carrick Mollenkamp in April 2008 noted the low-balling problem. He said it was widely known on Canary Wharf that the LIBOR was fictional. The bank regulators (especially the British financial overseers and the Federal Reserve Bank of NY) started investigation. The low quoted rates gave people confidence that the banks were in better shape than they really were. This bought some time and is the positive side of what happened. Some argue that this was like moving the lines of the football field - it was still a fair game. But people made decisions relying on information that many other players knew was false. And it gets worse. A much worse problem is that traders were influencing the LIBOR estimates to make profits. The U.S. Commodities Futures Trading Commission suspected something was amiss and demanded an investigation by Barclays. Complying fully with the request, Barclays provided emails of traders talking with one another about modifying the LIBOR to help interest-linked derivatives (options, swaps, futures) make a profit when they came due. When the Barclays report was released it caused a firestorm in the UK. Barclays paid a $450 million fine and senior managers were forced out. Some "very strange" outcomes and messages. 1. LIBOR continues to be published. A commission to replace it hasn't done it yet. 2. The major message for traders - use the phone, not emails. 3. Another message - maybe don't comply with data requests so energetically. On the other hand, Barclays might have been treated even more harshly if they had not been cooperative. 4. Some feel the crime was victimless, but by creating winners they also created losers. U.S. municipalities are figuring out how they were hurt; in some cases it is obvious and big-time. 1. More lawsuits and government action. The NY State Superintendent of Financial Institutions broke from the pack and went after Standard Chartered, sponsor of the Liverpool Football team. He won't be the last. 2. Dodd-Frank requires more transparency. Derivatives will have to be on more transparent platforms. 3. LIBOR will be replaced.